Taking precautionary steps like making sure only toilet paper goes down the toilet is one of the best ways that you can prevent blockages from happening in your home. One of the most common reasons for a blockage can be baby wipes trapped in the pipes stopping water from flowing freely. This can be prevented by having a bin in the bathroom and a sign to let any guests know that only loo roll can go down the toilet. Here at blocked drain Plymouth we strive to be the best and over 20 years of experience unblocking toilet, sinks, drains, and who knows what else, we think we’ve picked up a few tips and tricks and a few horror stories along the way. Like the time we went to unblock an external drain on a building site that was filled with cement. We’ve also had toilet blockages just as stubborn, and the worst part about a toilet blockage is 9/10 the homeowner has caused the blockage themselves. We’re going to tell you how to avoid doing the same. Most people don’t even think about drains before something goes wrong. And that always seems to happen at the worst possible moment. 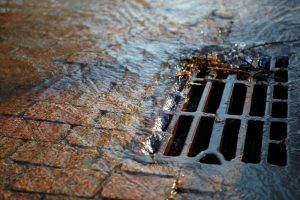 Blocked Drain Plymouth are there to help you when the worst happens and can prevent the same problem from happening again in future. Prevention is vital when it comes to drains. And routine maintenance can save you from many unnecessary issues. It saves you from the inconvenient drain issues too. The team use state of the art technology. From manual rodding to high pressure water jetting. We clear away a blocked drain quickly and efficiently. Blocked Drain Plymouth also strive to provide you with the solution to your drainage problem. We are alleviating the requirement for costly and unnecessary return visits. Blocked Drain Plymouth offer our service for all kind of issues. From a blocked sink or toilet to a collapsed drain. Being able to save you time and money by having regular preventative maintenance is crucial. You can have any defects identified and repaired before they become more serious. And before it becomes more expensive too. No matter where you are in Plymouth, the team are on hand to keep your drainage problems at bay.